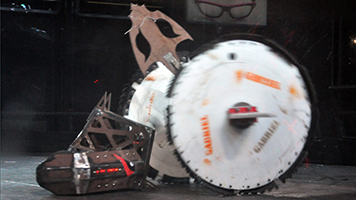 There are several live robot combat tours and other competitions that take place around the UK. 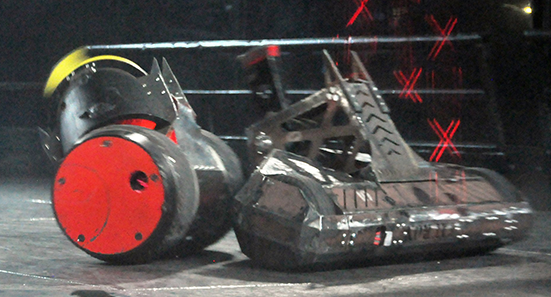 These feature many of the robots from the televised Robot Wars series, but also many other teams take part with robots that you won't have seen on TV. 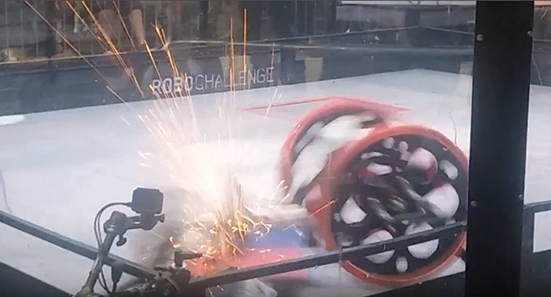 For safety reasons, not all of the arenas at these events are able to take big spinners, so you'll see a lot of flippers, plus some axebots, controlbots and pushbots. Where spinners can take part, they have to run at about half the maximum speed you see on the TV, up to 125mph (that's pretty impressive though!) 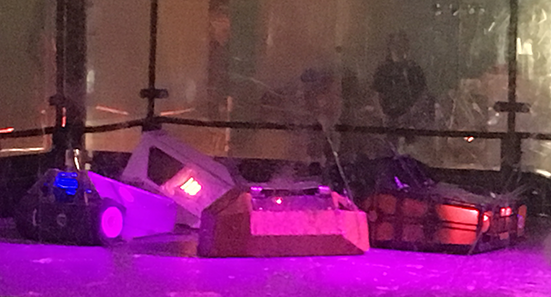 They're really exciting and often sell out well in advance, and premium tickets are usually available that give you access to the pits to get up close to the robots and meet the roboteers, so buy your tickets early! 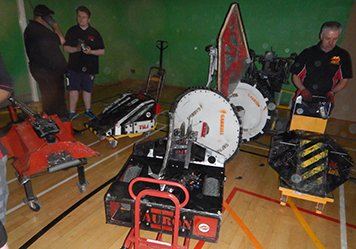 In order to take part, we first adapted Tauron Mk1 with different motors and an axe with the help of the Dorset Roboteering Team, but unfortunately the motors we used for this weren't powerful enough to operate it properly. However, if you have a look at the links to videos in the table below, you can see how we've used the axe as a big golf club/pokey stick, and these also show just how robust Tauron has proved to be (when the link is put in correctly...), capable of taking big hits and turning somersaults time after time, and easily driving off afterwards. 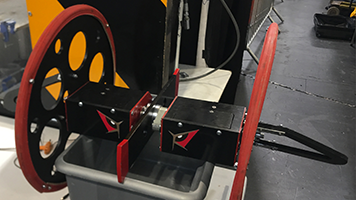 We tested out a weaponless prototype of our featherweight, Straddle, at the Grantham event in 2017, and the lessons learned from that led onto the development of the final version that came 13th out of over 50 entrants at Robo Challenge's International Featherweight Championships held at Insomnia61 at the NEC in August 2017. Towards the end of 2017 the Extreme Robots arena was upgraded to take spinners (running at 125mph max, so half speed for Tauron). The first event with this in place was Gloucester so we took the in-progress Tauron Mk3 without the weapon connected up and had a great time getting it flipped and taking hits. Then, for Maidstone 2017 we had the spinner running. Have a look at the links on the Live Appearances page to see how Tauron got on!